I live for my dreams, which are fluorescent and boast of Black theme. Black is Absolutely Fabulous to flaunt in whichever style you wish to dazzle. Black is commonly associated with Magic, Power, Secret, Elegance and Authority , all of which I am passionate about . Just the very name Judith Leiber spells class, elegance and Exorbitance. Her clutches are heirlooms , to be passed on from one generation to the next. The designer-clutches are so uniquely magnificent that they should be kept in show-cases for the guests to applaud for. 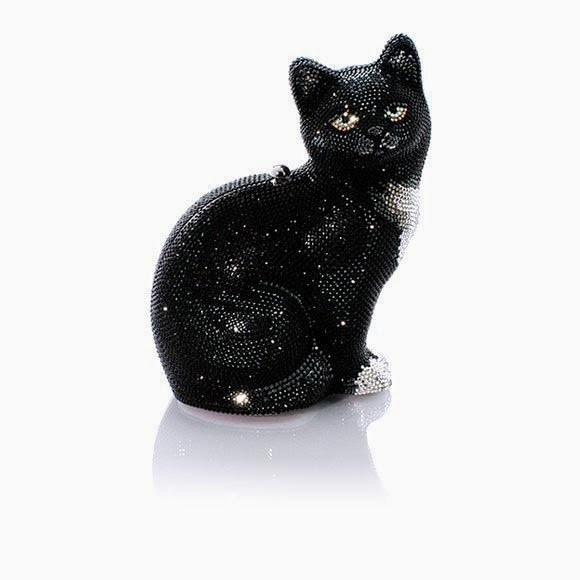 I wish for this Black Cat-clutch for it's aloof preciousness and Dark fantasy. The talent, the skill, the craft that assembled this top notch Black Bracelet is worth zillion dollars. Each and every Swarovski jewel is top notch and adds tony dimension to the owner's persona. 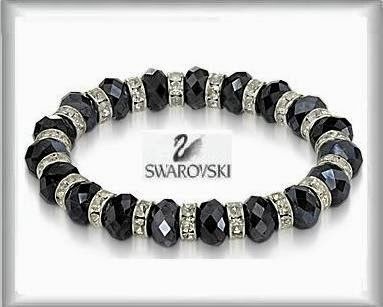 I wish to wear this snazzy , black crystal bracelet while receiving a prize for one of my literary Gem. The ladies wish for at least one Jimmy Choo in their dream closet. 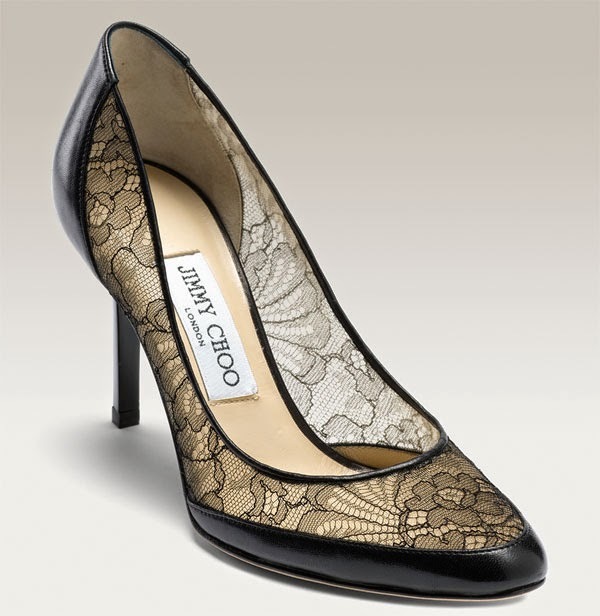 I am no different , but a slight variant with Black Jimmy Choo Faye lace pump is on my wish-list for a long time. Instead of solid leather pumps, the delicacy of the Faye lace adds so much glamour and glitz to this Black Jimmy Choo. I wish to wear and waltz in it. That is Jet Black, smoking hot, luxurious car to zip...zap...zoom around, when I am showing off above three Black treasures. 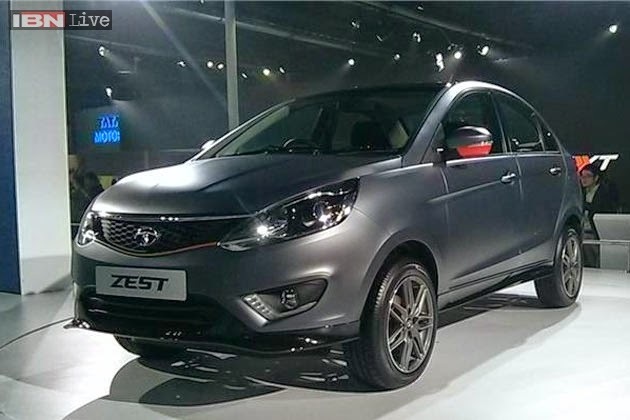 I really, truly, absolutely wish for black Zest car. On the highway, at the signals, in the parking lots, cruising past colleges, malls, offices and complexes my Zest will be gazed at and envied by all. Yessss.... why not ? My very own Black Cat commando, to guard me and my 4 ritzy possessions. I will need nothing less than Zed+ security detail. My last but not the least wish is ... 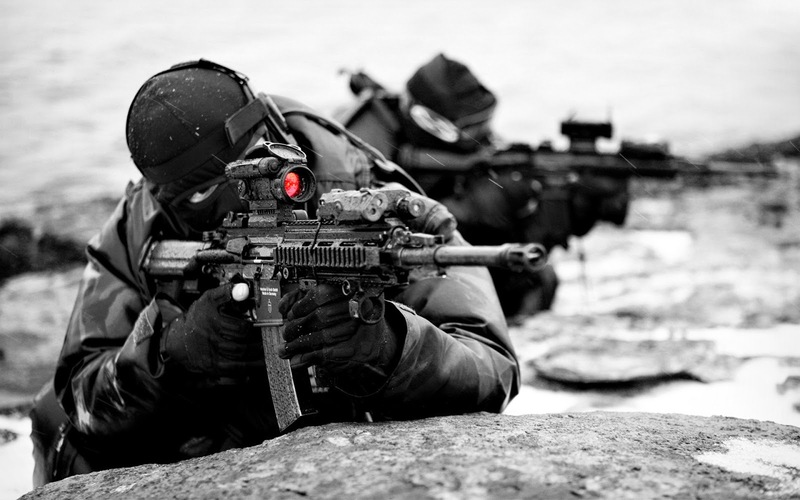 The Black cat commando with hi-fi elex-weapons to frighten away any Black-Spirit. All the images are copied from Google. I love to live my life luxuriously. Each day brings new adventures, followed by the excitement. Being a lady, one has lots of merits as in we love so many people, things and situations zestfully. Selecting just 5 things, 5 stars which add Zest to our life is quite tricky, so I have to be very , very selective. 1 *. E.O.S.S. = End Of Season Sale : Oh my God .... have you seen the crazy crowd at the various malls ? Infinity, Inorbit , Growells 101 , Raghuleela , R city etc. Well , I am always one of them mall hopping for all those feverish EOSS. The Dresses , the bags , the footwear , the cosmetics at flat 50% discounts makes me shop....shop....shop till my cash exhausts. I return from EOSS with shopping bags full of treasures. Just looking at them and counting how much money I have saved, add Zest to my life ... How swell I will be looking wearing those dresses , shoes and cosmetics ! 2 *. 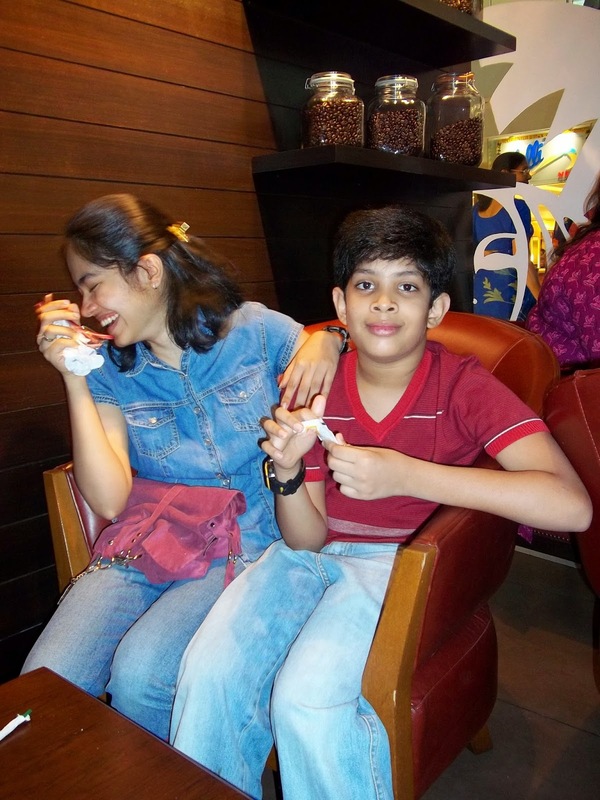 Aamen and Adi : My nephew and my niece are not just apples of my eyes but souls of my body. Since their birth , I have been their Mawshi and as they are growing up , they are transformed into friends and confidante. Telling them stories / jokes, helping in their studies, chatting, sometimes scolding them for miss-behaving, indulging in masti, enjoying coffee with them each and every moment spent with my precious bachchas add immense Zest to my life. 3 *. 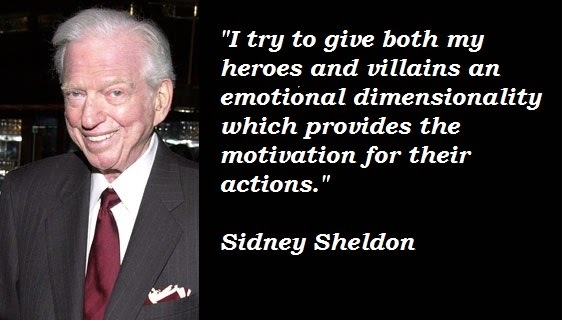 Sidney Sheldon : My most favorite author , whose all books are full of entertainment , excitement and dramatic events . His novels add zest to my life with literary gems such as Rage of Angels, The Other Side of Midnight, A stranger in the Mirror, Master of the Game, If Tomorrow Comes, The Sands of Time, The Naked Face, Windmills of the Gods, The Stars Shine Down and of course his biography The Other Side of Me . Just reading any novel of Sidney Sheldon lifts my mood , whenever I am feeling low. 4 *. 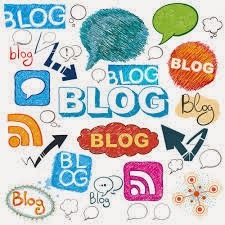 Blog -writing : I am writing blogs since 2007 and enjoying the process endlessly. Every time I write a new post , I discover something new about myself or the blog's technology, template , feature etc. In the beginning , I didn't know about adding pictures, videos, URLs etc. so my blogs were somewhat mundane and monochrome . Now as I have discovered the magic of making my blogs Eye-candy , the Blog-writing has added rainbow-hued Zest to my life. 5 *. 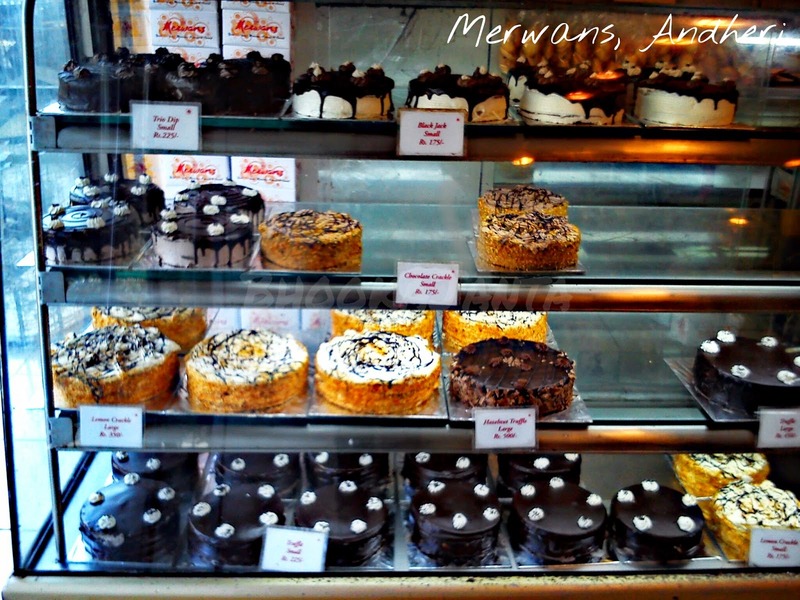 Merwans : It is a cake-shop for all and a special Treat-shop for me. It specializes in Cakes ( Chocolate, Butterscotch, Strawberry, Pineapple, Dutch truffle, Black Forest, Swiss role, Eclairs Brownies, Doubledeckers, Black currant, Plum, Almond, Mawa etc. ), Patties ( Chicken / Mutton / Veg. Manchurian / Paneer / Mawa / Kheema etc. ), Surti maska Butter , Flaky Kharees, Anjeer cookies, Mousse and Softies . Ooh ... just writing about these gets me so excited. Buying so many of these delicacies and sharing them with my family and friends add oodles of Zest to my life. All the images (except 2nd ) are copied from Google . Cake ... Ooh La La ! Vanilla , Ginger , Strawberry , Cardamom , Cinnamon , Butterscotch , Coffee , Lemon , Orange , Chocolate , Pineapple ... you name it and these all essences mingled , mesmerized the 'D' division of 10th class in A.B.Goregaonkar English school...Ooh la la ! We,the 50 students of 10-D had brought Cakes with various flavors to decorate them as a live project for Work-Experience. Just imagine ... we were supposed to do these cake-decorations ( icing / designing ) on the regular wooden benches where we read and wrote daily. Every bench was boasting of 2 fresh, homemade ,spongy, fluffy, delicious cakes waiting eagerly to be decorated with colorful cream, candied fruits, tiny silver mint-balls , Gems, Cherries, crystal jelly, designing tools such as piping syringes , guns and handmade cones. The students as well as teachers were making a beeline at 10-D, to have a look now and expecting a slice of those eye-candy treats after we had finished the decorations. We began with icing/frosting i.e. covering the top of the cake with cream. Most of us used either White or Chocolate cream as the base and then proceeded with next step of designing. I had visited Mongini's and Merwan's Cake-shops to get an idea of Cake-decorations. Eventually I drew my own design, which made my cake look like a Million dollar artifact. Firstly, I frosted my cake-base with Chocolate cream. Secondly, I divided it into 4 quarters with a ruler. Thirdly, I used Pistachio-cream to draw zigzag lines to cover the 2 opposite quarters. Fourthly, I used Strawberry cream to draw the same design on the remaining 2 quarters. Now my cake resembled a lovely Birdy's nest. In the middle of the cake , I put 4 White marshmallows as eggs. Finally, I put tiny silver mint-balls on the border. I took out the exquisite Borosil serving dish and placed my decorated Birdy's Nest-cake on it. Last but not the least , I sprinkled the Rose-petals around my cake , while presenting it to the teacher for final grading. Yes, you guessed it right. I got A+ grade . The teacher complimented me about BOROSIL serving dish , saying " The Diamond sparkles more in Gold-setting."